The Netflix-Formula 1 documentary has taken the world by storm. Yes, we mean the entire world and not just the smallish-large world of Formula 1 fans. While Formula 1 is hoping that the documentary brings newer audiences to the sport, we're wondering how many Formula 1 fans bought a Netflix subscription to watch the series. The reverse cross-over, as we call it in this week's episode of the Inside Line F1 Podcast. Also in this episode, we wonder if Bernie Ecclestone is actually fiddling with race hosting contract extensions. By the way, Ecclestone should totally star in this documentary, if there is a Season 2 in production - and there should absolutely be one! Also, did Formula 1 foot the expensive production bill of this documentary or could this be an ancillary revenue opportunity? The documentary is just so awesome that we have spoken about it in length. 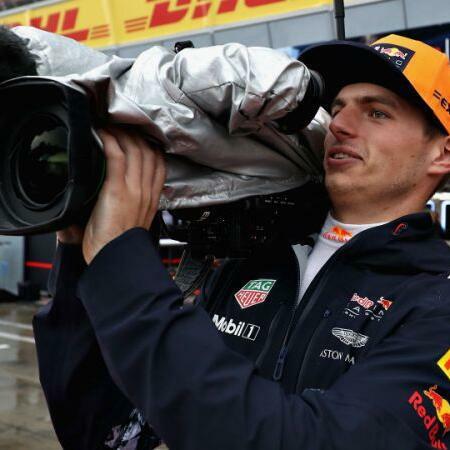 But this episode also has more - like Red Bull Racing re-promoting Daniil Kvyat, the trigger for Valtteri Bottas' love for dogs and finally, our view of the 2019 Formula 1 Season opening launch event from Melbourne. Tune in! 0:00-3:00: Formula 1 should just race all through the year. We tell you how it can be made possible. Also, our view on the 2019 Formula 1 Season launch event in Melbourne. 3:00-6:00: The Netflix-Formula 1 documentary - a fantastic marketing exercise by Formula 1? And thank you Ferrari and Mercedes for ignoring this documentary. No, seriously! Also, how many Formula 1 fans bought Netflix subscriptions only to watch this documentary? 9:00-12:00: Bernie Ecclestone should be in season 2 of the Netflix-Formula 1 documentary. But will he mind that the documentary is available behind a pay-wall and via online streaming?